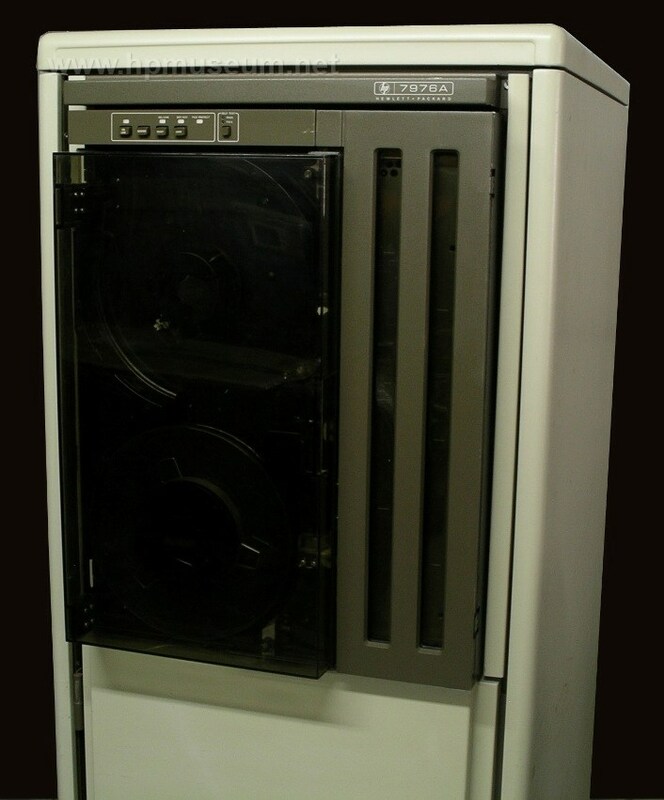 The 7976A was introduced as a half-inch, reel-to-reel tape back up system for HP 3000 computers. It could read/write in either the 1600bpi phase-encoded format (like the 7970E) or the ANSI standard 6250 bpi Group Coded Recording (GCR) format. The 7976A offered a 3 to 4 times performance improvement over the 7970E. 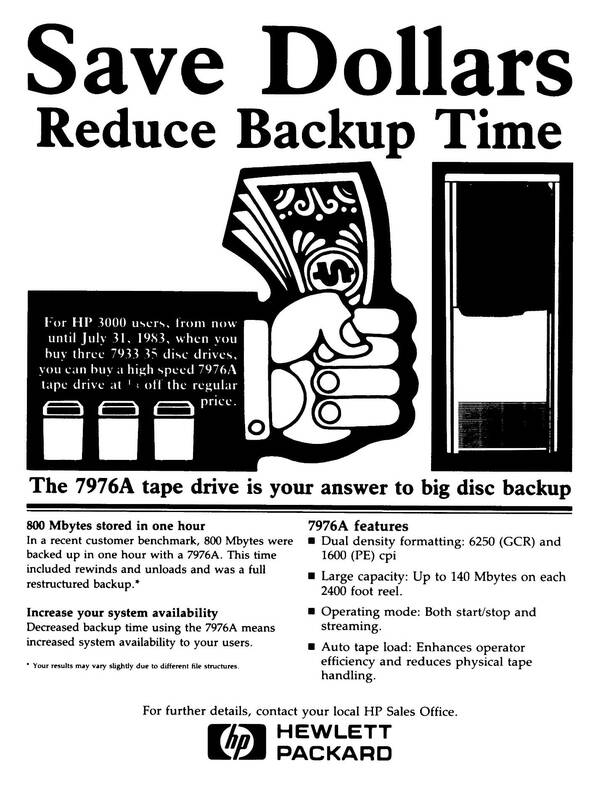 The 7976A was obsoleted in October of 1984.